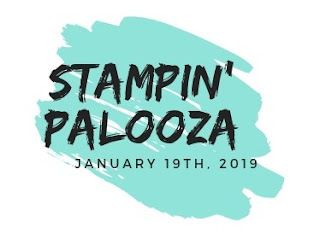 I just wanted to send out a quick reminder about the Stampin' Palooza registration. If you want to get in on the free gift you need to register before Dec. 31st! You can find all the details and the PayPal link by clicking on the Stampin' Palooza button. If you know of someone that might be interested, please invite them. We love to meet new stampers.